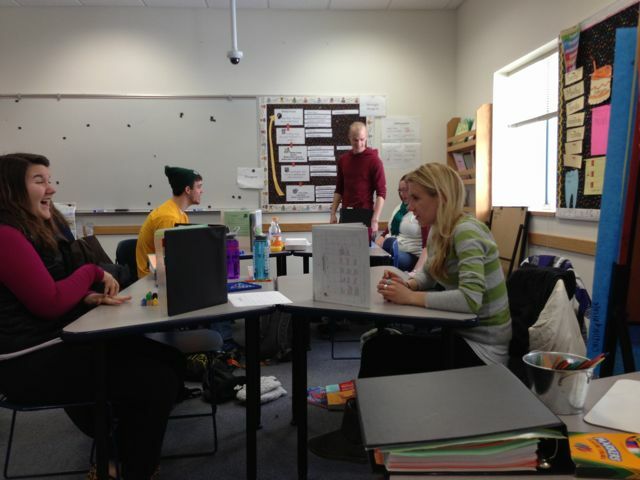 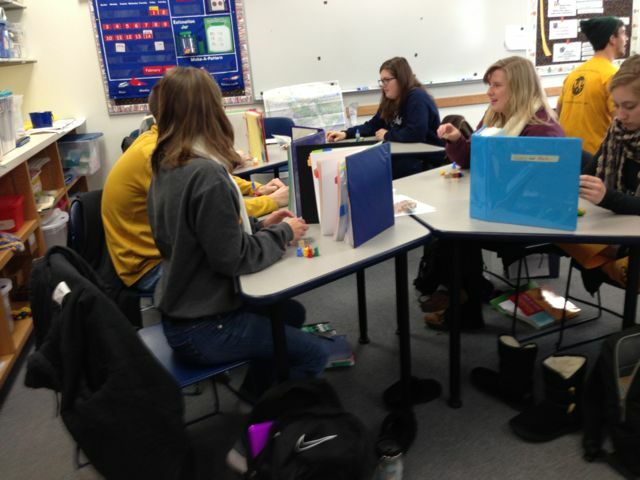 EDU 373 (Elementary Mathematics Methods and Materials) features many opportunities to peer teach mini lessons in math following activities that are outlined by Marilyn Burns and AIMS. 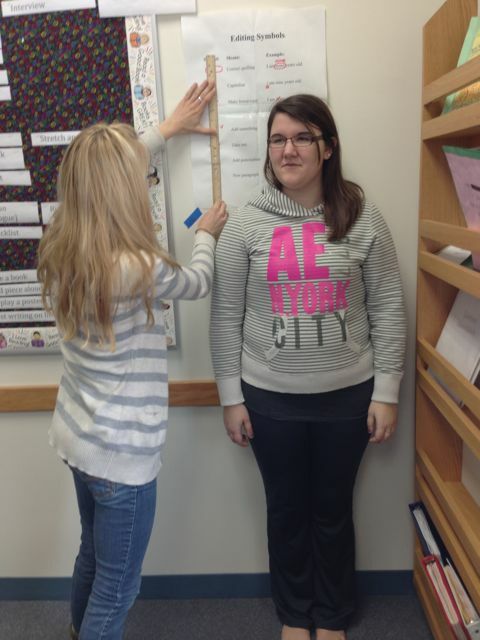 In the activity below, students are comparing the measurements of their arm span to their height to determine if they are a square, a long or a wide rectangle, a physical proportion that is well documented in mathematics literature. This activity allows students to apply based measurement principles to real life. 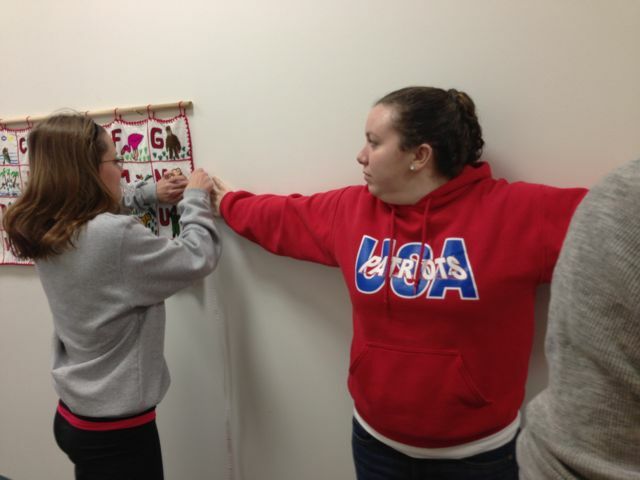 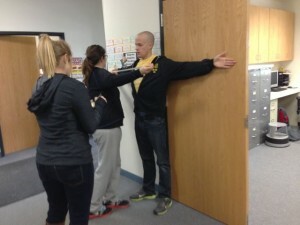 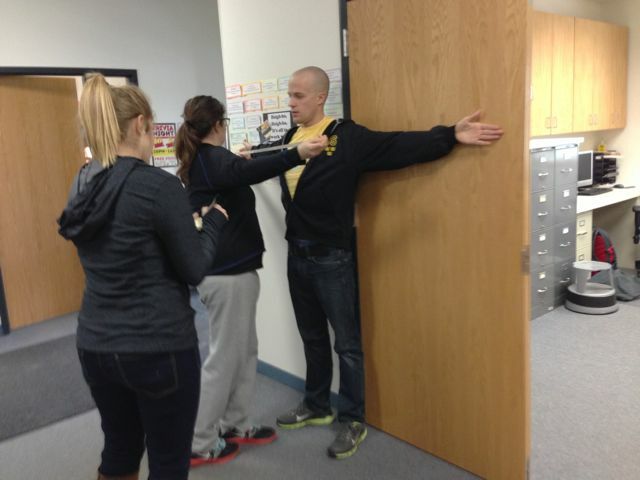 In the photos below, math methods students are applying concepts of geometry and spatial sense by communicating position to their partners using a Marilyn Burns activity taught by Caitlin Bonde and Josh Timmerman.